Soul River Ran Wild and Deep with Patagonia - Soul River Inc.
With overwhelming humility and from the depths of my heart I say thank you to all partners, ambassadors, friends and family (both old and new) who made the Patagonia Soul River event this past Thursday! 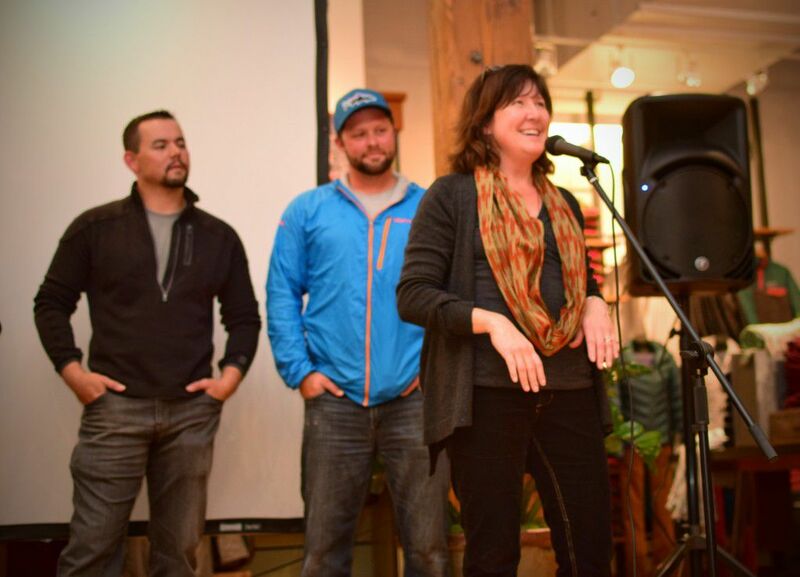 This was a truly communal testament of where Soul River has been and where we are headed. 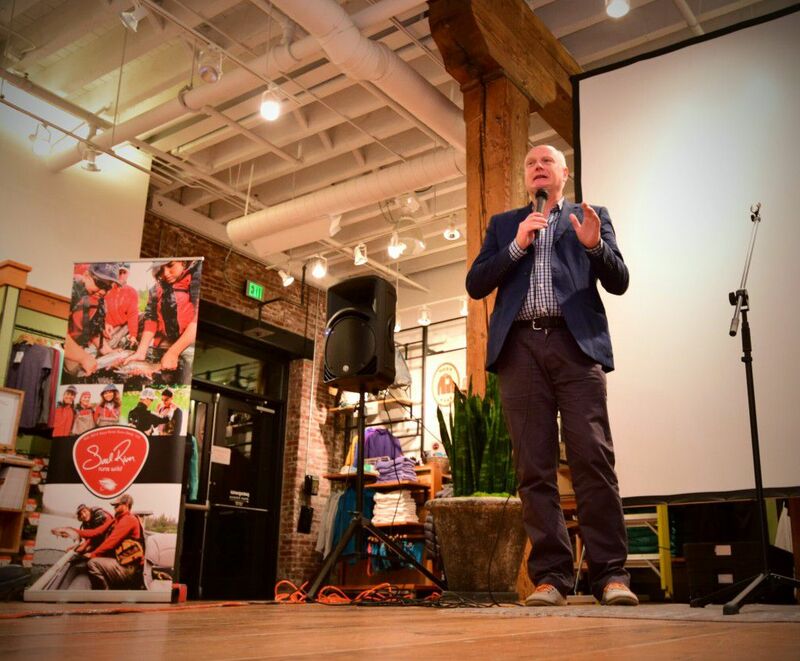 Vulnerability and authenticity was at the core of this event where speakers were able to be sincere and those in the audience were able to see the depth of how this organization impacts each person on a pivotal, life–changing level. Our walks are all different and challenging in differing ways. To see veterans and youth come together and stand as a united force was a sight to see, as well as a moving experience to be part of. The event was by no means just that, but rather an over-the-top success with incredible support from the Pacific Northwest community. 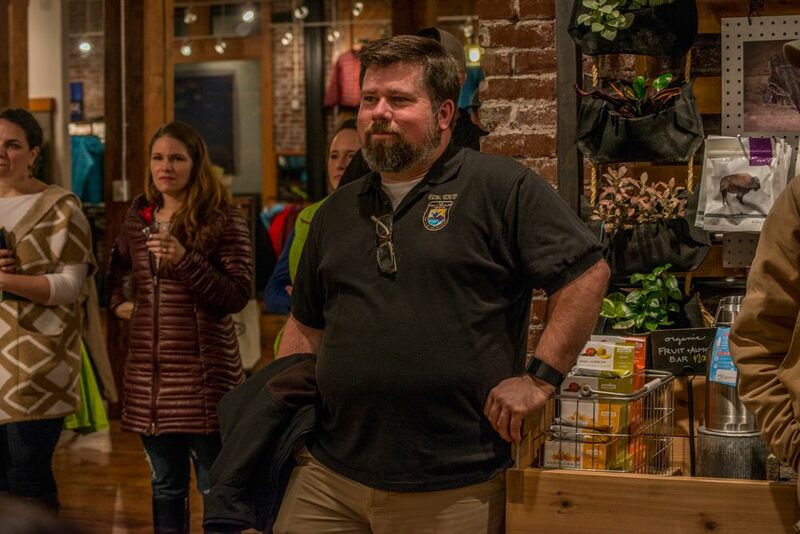 With the help of generous donors and the excitement of those in attendance, Soul River Inc raised over $1000 giving us a good start towards our 2016 outdoor education expeditions that are already at the drawing board. 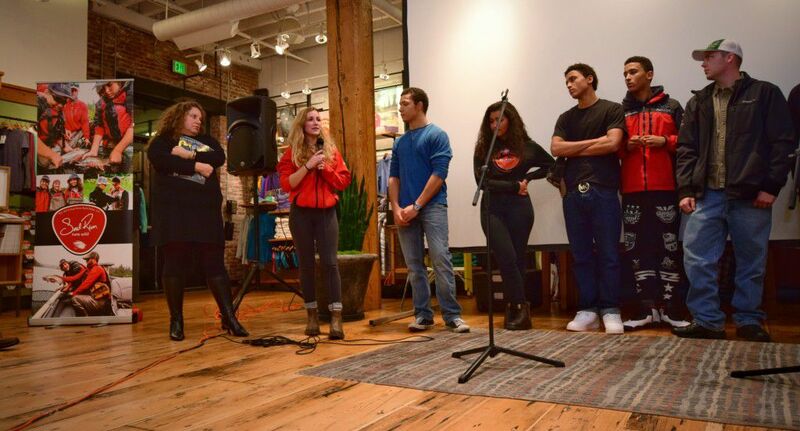 Patagonia was a blessing in that they gave us this opportunity to showcase SRI to our community how we have shined! I look forward to the future SRI has in impacting veterans and youth, into the fold of the soulful movement and change, the inspiration, motivation and life altering opportunities for each individual person to thrive and embark on the richness of a healthy life and community – the epitome of what the Soul River community is truly about. Photos by Kelli Pennington – Center Lee Keupper, Alaskan fly fishing guide Loop Pro team, and Sean (youth) who went to Alaska! Thank you to all the veterans, youth, and their families who came out. Also, thank you to Lauren Tietsort and Stefanie Scovill who made the glue stick on so many levels making this event a success for everyone. 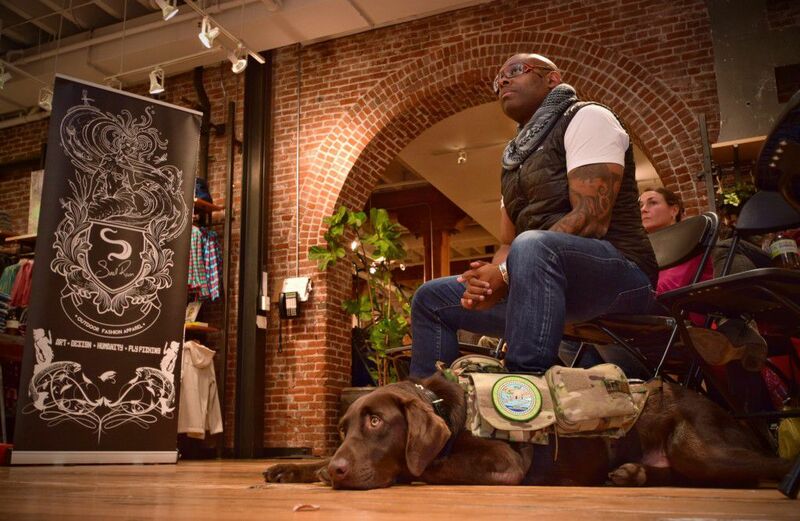 At the end of it all, I sat down with my battle buddy Axe by my side and let veterans and youth take the stage at Patagonia. 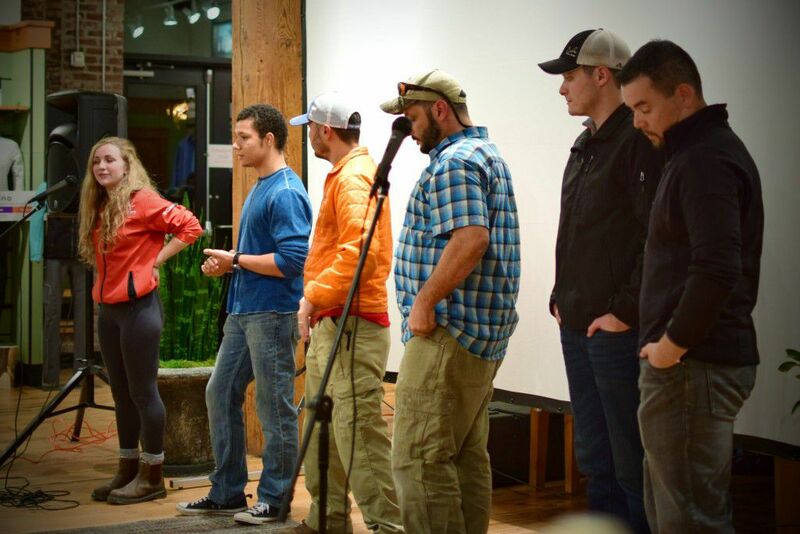 This was a time for folks to get a well-rounded perspective of what Soul River is all about. At this event, we witnessed that Soul River Ran Deep! With standing room only, not only was it a packed house but our hearts were full and Mother Nature’s spirit was evident. Thank you to everybody! This could only happen with the collective effort of folks like yourself who believe in what we are doing at Soul River. Moving into 2016, we’re expecting to be an even stronger force. You too can help be a part of this significant mission and incredible impact. Donations can now be accepted online by clicking the button below. Any amount is greatly appreciated and all donations will go toward our 2016 outdoor education expeditions for inner city youth and veterans.